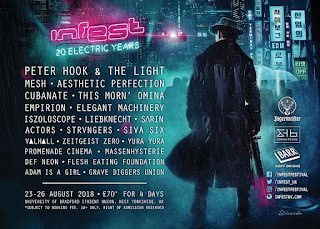 Inspired by the 90’s grunge subculture, Los Angeles based Love Ghost successfully pays tribute to the most influential genre of alternative rock, while creating a unique and modern sound. Having grown up together, the five-piece are able to poignantly express both the hardships and joys of suburban teenage culture within their music. The band was formed by 15-year-old frontman Finn Bell who demonstrates a maturity beyond his years with his soulful lyrics and arrangements. Despite the band all being teenagers, their raw musical skill creates a nostalgic triumph of distorted guitar melodies, heavy drums and emotionally stimulated lyrics. 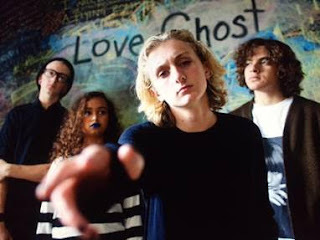 Love Ghost’s musical composition is inspired by a mix of old universal horror films meshed with iconic grunge artists such as Nirvana and Alice in Chains. Smashing Pumpkins inspired ‘Friday Afternoon’ aims to reflect the importance of standing up for oneself especially during a time of hardship in teenage years. Written in the Spring of 2015, Bell reflects upon his own experiences through creation, and actively urges his audience to do the same. Love Ghost’s lead vocalist and lyricist, describes his process as a continuous stream of consciousness, drawn from his emotional response. Bell expresses ‘It’s a shame that people tend to shy away from anything that feels too personal, because those types of things let you know who you really are.’ Despite only being together for a little over a year, the band has seen tremendous success, opening for such artists as The Tubes, Berlin, Ozomatli and Buckcherry. Love Ghost has also played several high profile festivals including Make Music Pasadena and Echo Park Rising. Loose Buttons - "Milk & Roses"